Many real estate consumers regard Australia as a single property market which is either rising, stagnating or falling. The truth is we have many different markets – and they’re not all moving in the same direction, nor at the same speed. This is good news for investors. At any point in time, there is always somewhere in Australia that’s worthy of attention as a current or future growth market. Recent research has highlighted this reality. It also contradicts long-held beliefs about where you get the best growth. Information put together by PIPA has found that Hobart has achieved the highest percentage growth in house prices among the capital cities over the past 15 years. 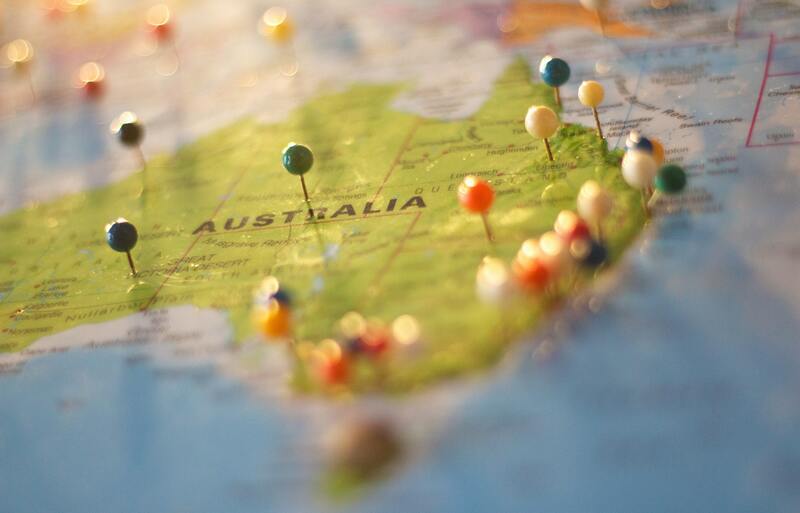 There are similarly surprising results from CoreLogic data on the growth in various jurisdictions across Australia in the four most recent 5-year periods. One thing this shows is that, overall, the past five years have been quite tame for growth in house prices. Media has often referred recently to an unprecedented national property boom, but I have maintained that we have not had a national boom and the growth in Sydney and Melbourne has been far from unprecedented. These CoreLogic figures would tend to confirm that. They examine the five-year periods up to January in each of 2003, 2008, 2013 and 2018. In terms of national average price growth, the five-year period to 2003 was the most prolific, by a wide margin. Values on average grew 62% in the five years to 2003, while in the five years to 2018 the growth was just 38%. The five-year period up to 2008 (national rise of 44%) was also higher than the most recent period. There were all kinds of regional differences within each of those five-year periods, reinforcing once again the view that we do not have a single national market, but many different local markets. In the five years to 2003, the last time we had a national boom, the combined capitals grew 64% and the combined “rest of state” rose 54%. But the leading jurisdiction was Regional NSW (up 84%), followed by Canberra (up 79%) and Regional Victoria (up 66%). Five of the capital cities grew more than 55% in that period, while Perth rose 46% and Hobart was up 38%. Everywhere in Australia, both city and regional, showed some kind of significant growth. In the five years to 2008, regional areas were dominant, with the combined “rest of state” up 53% while the capital cities increased only 42%. This was a period when Western Australia was the leading market in the nation, with Regional WA up 121% in five years (mostly mining towns like Port Hedland and Karratha recording extraordinary growth, as well as lifestyle towns like Mandurah). The Perth market rose 102% in that period. That was also when Tasmania caught the boom wave from the mainland (rather similar to Tasmania right now), with Hobart (up 75%) the No.2 city for growth after Perth, while Regional Tasmania grew 89%. The regional areas of Queensland and the Northern Territory also had big price rises in that 5-year period. Meanwhile, in the five years to 2008, Sydney rose only 12%. It was mediocre also during the next five-year period, up to 2013, growing just 9% over five years. This is why Sydney ranked last among the capital cities in the 15-year growth figures published by PIPA. Overall, that five-year period up to 2013 was the weakest nationally in recent times. The only place that showed much uplift during that time was the Northern Territory, with Darwin up 32% and Regional NT up 38%. At that time, prices went backwards in Brisbane, Perth, Hobart and several regional areas. Then, in the most recent five-year stanza, Sydney rose 64% and Melbourne 56%. The only other places to show much uplift in the past five years were Regional NSW (up 38%) and Hobart, which started to show the beginnings of its current boom in the past year or so. In that latest five years, prices went backwards in Perth and Regional WA, as well as in Darwin, which dropped 20% over five years, and Regional NT. Overall, the figures confirm we have many different markets in Australia and, at any given point in time, they are not all doing the same thing. And that, contrary to myth, the major cities do not always out-perform the regions.